How to use array’s properties and function in C# programming? 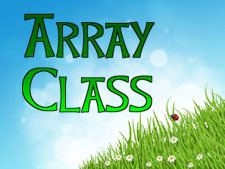 The Array class is the base class of all the arrays in C sharp programming. Array class is defined within the system namespace. Array class provides number of predefined functions and properties to work with. Its function makes array much easier and simpler to work. In this chapter you learned about different types of array’s properties and function in C#. In next chapter you will get some programming examples of array.